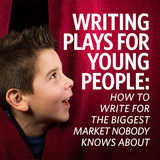 Author of more than 30 published plays with over 1000 productions worldwide, Jonathan Dorf co-founded publisher YouthPLAYS, co-chairs the Alliance of Los Angeles Playwrights and is Final Draft's resident playwriting expert. 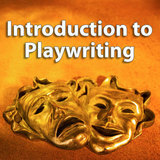 He created the content for Playwriting101.com, Google's top-ranked playwriting website for over a decade, and teaches playwriting through Screenwriters University. He has served as Visiting Associate Professor in the MFA Playwriting and Children's Lit programs at Hollins University, as United States Cultural Envoy to Barbados and been a guest speaker at schools and festivals ranging from the University of Southern California to the Asian Festival of Children's Content in Singapore. 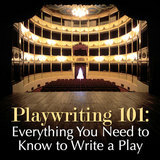 He holds a BA in Dramatic Writing and Literature from Harvard University and an MFA in Playwriting from UCLA. Some writers do their best work hunched over the computers at their desks. Others work in libraries. Or at the beach. But I like nothing better than writing in a restaurant. While some people are terrified at the prospect of dining alone, for me it's a chance to let someone else do the cooking, serve my food and do the dishes while I relax and inhabit my current play or screenplay. It's been more than two years since the last Writing in Restaurants, and in that time I've come across many new writing-friendly venues. Today, I'll be serving a five-course meal of writing tips as I introduce you to some of my latest favorites. Unless otherwise noted, these aren't plug-in or wireless venues, but they're wonderful places to stoke your creativity nonetheless.